It was last August when Google introduced major changes to the local pack feature. The search giant debuted the 3-pack for desktop search results, mirroring their greatly used mobile platform, and making those coveted top three search results even more important to local businesses. The change wasn’t a big surprise, but it still meant digital marketing teams and their clients were going to have to make adjustments, again. The following local SEO hacks are designed to help marketers reach, or recover and maintain their rankings and survive in the competitive 3-pack local search environment. First things first, I cannot emphasize enough that every business you serve must have consistent citations. Moz’s 2015 Local Search Ranking Factors survey shows the consistency, quality and authenticity of citations are high factors affecting the Local Stack/ Snack Pack search results. Not to mention, keeping tabs on this basic data and ensuring it is updated greatly affects how target consumers find and interact with brands and businesses. Consistent NAP data continues to remain essential for local businesses to be found in search engines. Incorrect or outdated citations confuse search engines and consumers, and has the potential to damage the brand’s reputation. So let’s all agree to stay on top of our citations. For further detail on clean up and monitoring citations, review this eBook. As mentioned, in addition to consistent NAP data, Google takes the quantity and relevancy of citations into account for search placement. While all local brands should be listed on major directories such as Google My Business, Bing Places and Yellow Pages, numerous other directories exist with a more specific focus. For example, attorneys would benefit greatly from being listed in FindLaw or Justia, while realtor.com is an ideal niche directory for real estate agents. Since local search visibility is increasingly reliant upon customer feedback, brands should always encourage people to leave reviews. To remain as consumer-focused as possible, Google considers consumer chatter about brands online to be an important ranking factor. This is why you’ll rarely see businesses with no reviews or only negative reviews listed in three-pack results, unless there is a lack of competition. A recent Bright Local study states that 68 percent of consumers say positive reviews make them trust a local business more. Along with the previous tip, it is imperative for brands to interact with customer reviews once they have them. Marketing professionals and brand managers need to be present to address customer concerns and thank people for leaving feedback. This is particularly true when dealing with negative feedback; consumers often consider a brand’s handling of a complaint to be even more important than the feedback itself. Ignoring negative feedback or, worse still, getting defensive, invariably has the opposite effect. In addition to the technical side of SEO, digital marketers have to remember the value of our personal interactions with consumers. Most search queries for local businesses now take place on the small screen, meaning mobile has to be a primary consideration in SEO strategies. Brands have to take into account the very different nature of local search queries, which tend to take place on the spur of the moment with a demand for instant gratification. The citations for the businesses we serve have to be complete and consistent to be relevant and genuinely useful in the mobile consumer search results. According to Google, prominence is one of their main local ranking factors. Brand prominence is largely determined by both offline popularity and the amount of references to the brand online, including its citations. This focus on prominence was recently highlighted when Google made a minor but significant change to its support document on local business ranking factors. The changes suggest that traditional SEO practices are also important for local businesses. Google indicated that, in addition to local citations and reviews, it also takes into account links and articles when ranking local search results. Although traditional SEO also benefits local businesses, on-site local references undoubtedly remain important. As such, local business websites should make references to their locations and service areas in their content, particularly in important elements such as page titles and headers. However, the same rule applies to local on-page optimization as it does to traditional SEO, there is never a good reason to stuff key words or phrases into any piece of content. As a matter of fact, that kind of practice tends to have negative consequences. Relevant content remains a key ranking factor for digital marketing strategies. This was further driven home with Google’s recently updated Search Quality Evaluator Guidelines and the emphasis placed on presenting content that shows expertise, has authority and is trustworthy (E-A-T content). More thought and targeted consideration has to go into the content we create. Trying to target a broad audience only increases bounce rates which, in turn, negatively impacts a website’s visibility in search results and the brand’s digital reputation. After all, it’s much better to have a small, engaged audience than a fleeting audience that leads to minimal conversions. Social signals may only account for a relatively small portion of local search placement results, but there’s no doubt that maintaining a strong social presence is still important. An active presence on social media gives important insights into target audiences and builds strong community with brand followers; all while having a small but worthwhile impact on your visibility in Google. Back in 2010, Google’s Matt Cutts recommended multi-location or multi-service area businesses have separate webpages for each one. This still holds true as this allows local businesses to rank more effectively with a wider range of geotagged search queries. Most importantly, however, each page should serve up localized content, relevant to that local region and audience. These are just a few tips to help you as you serve your clients. There are far too many websites out there that are not optimized. Use these best practices, you’ll be able to do just that. 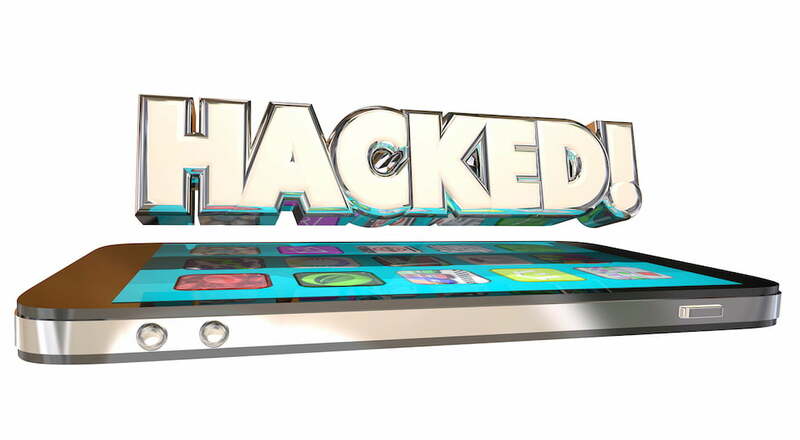 Which of these hacks helps you most? Are your client’s local businesses placing in the three-pack? Tell me about it in the comments. 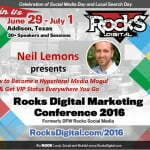 « Neil Lemons Serves Up the Secrets to Building a Hyperlocal Media Empire at Rocks Digital 2016!